Here she is! 'Monchhichi Hood Cape' - my first Momoko doll with freckles. Her clothes and 'shoes' are completely useless but her face is lovely. I bought her because of short hair, pretty brown eyes and freckles. 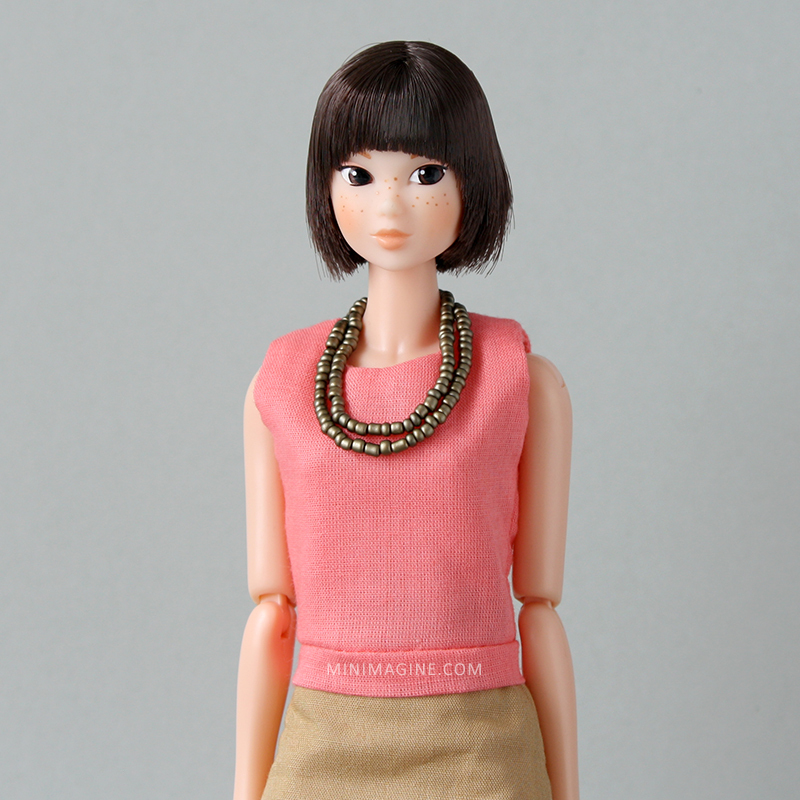 I thought that she has new Momoko body (with chest articulation) but she doesn't. 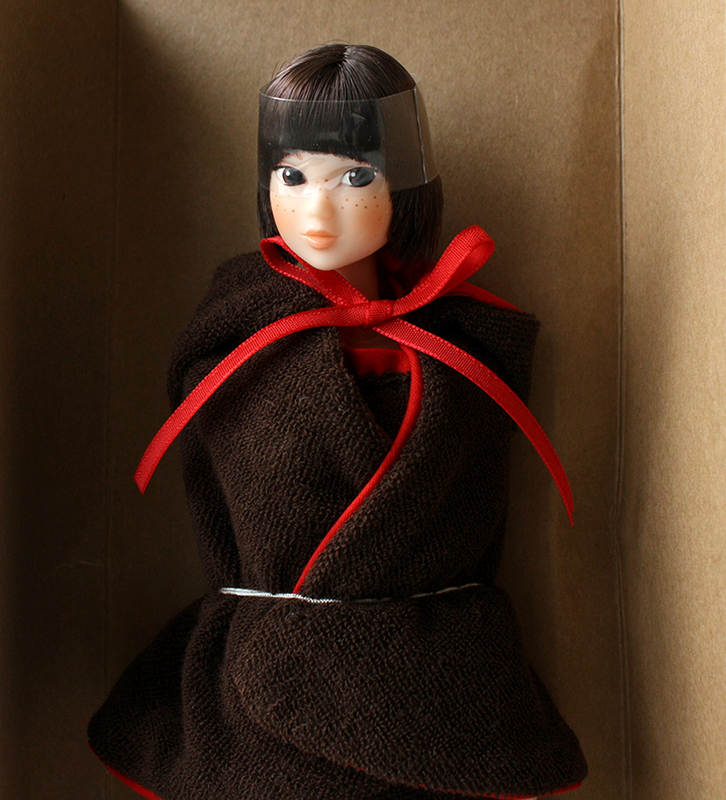 I'm going to show you all my dolls in individual blog posts soon. I'm still thinking about names for them. Śliczna lalka! Ma piękną twarz, fryzurę, oczy, piegi! Gratuluję zakupu i pozdrawiam serdecznie!